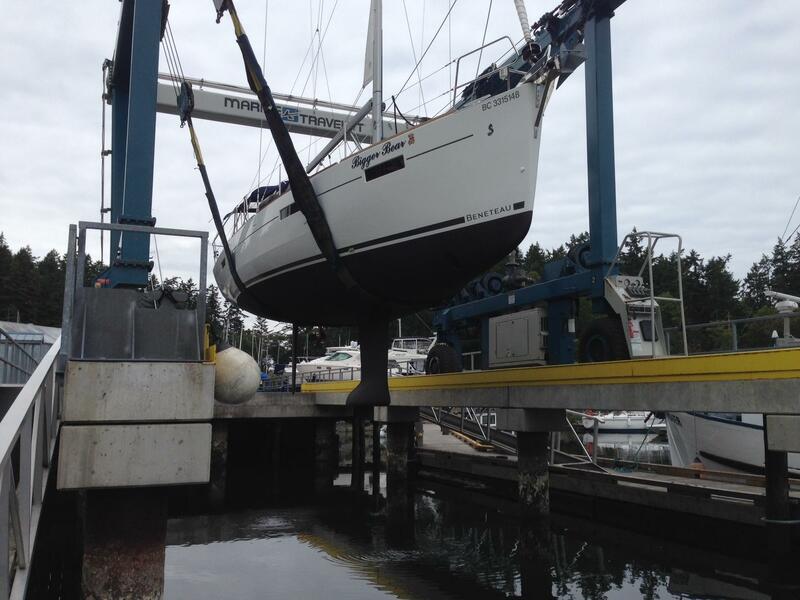 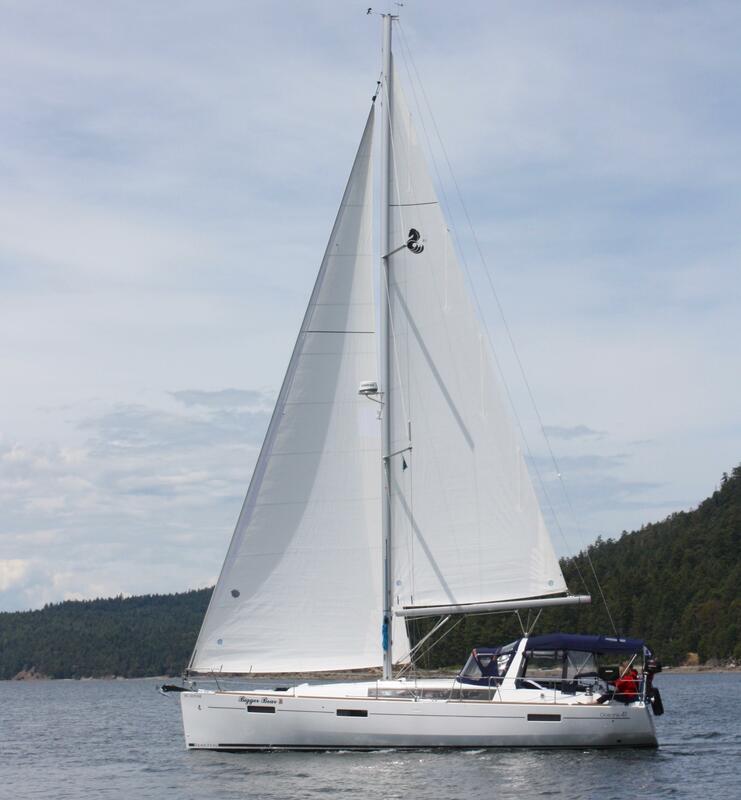 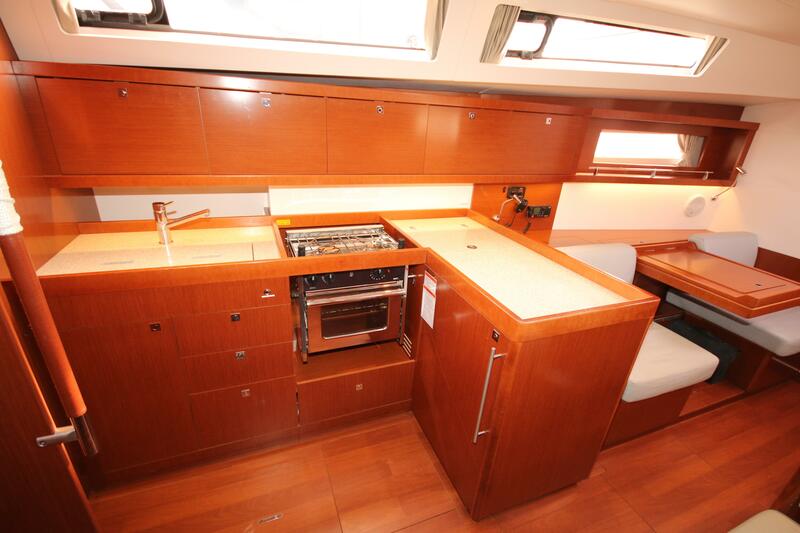 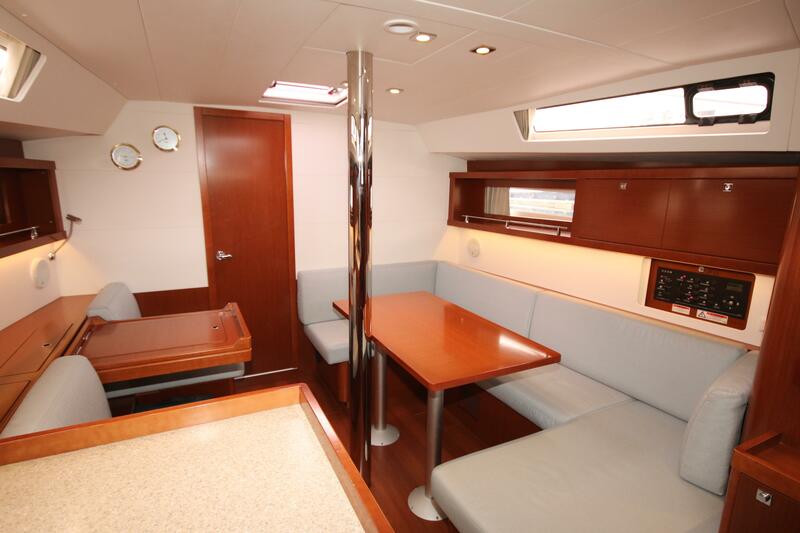 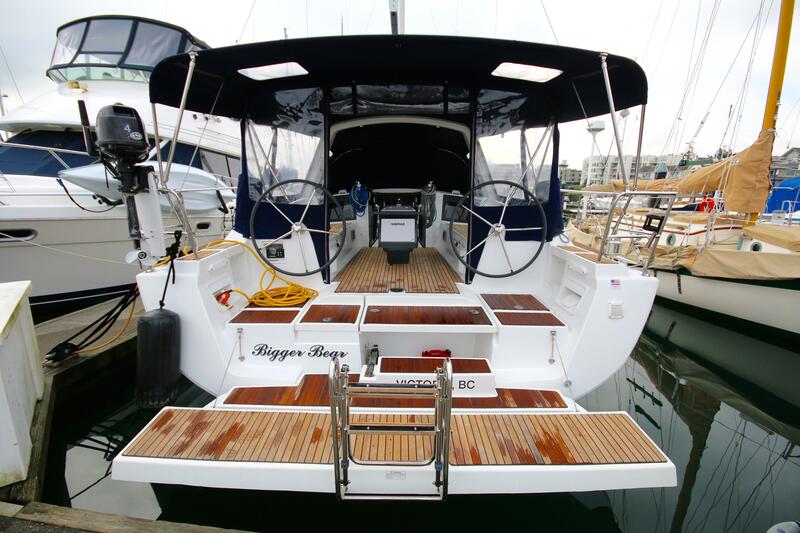 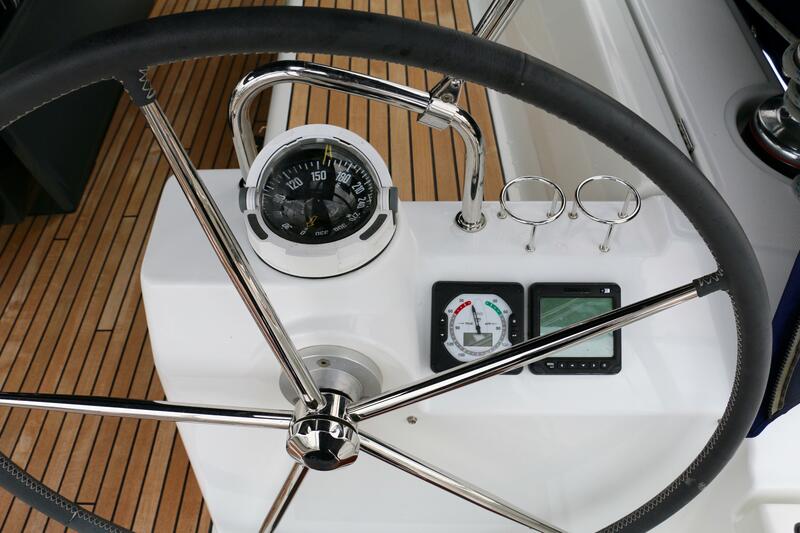 Bigger Bear is a fine example of a lightly-used, well-optioned Oceanis 41. 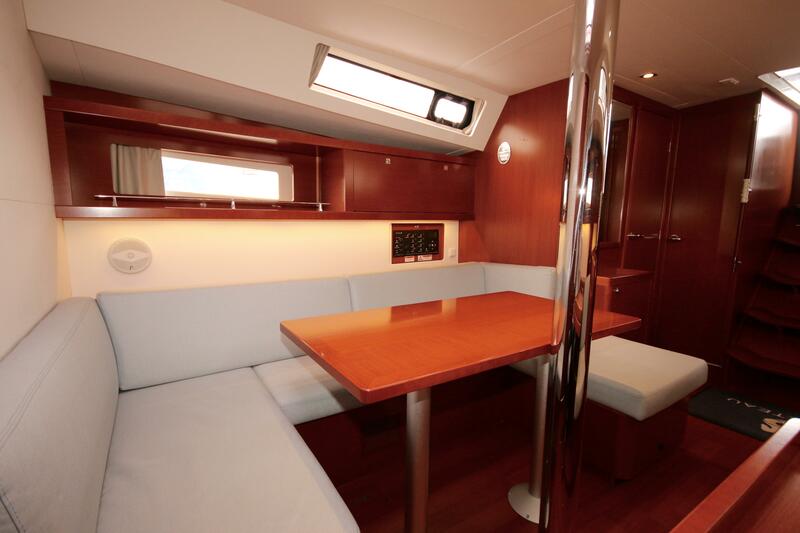 The Oceanis 41 was designed by Finot-Conq & Associated/Nauta Design as a swift and elegant cruiser. 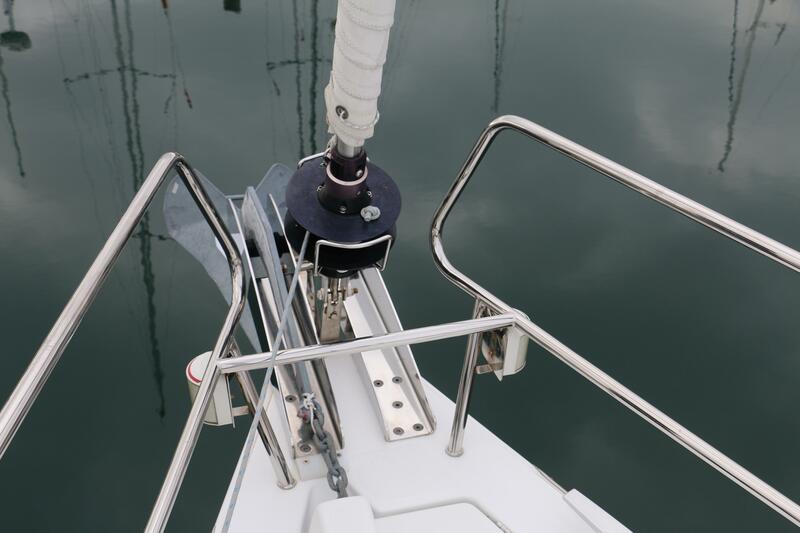 The continuous chine allows almost the full beam carried aft. 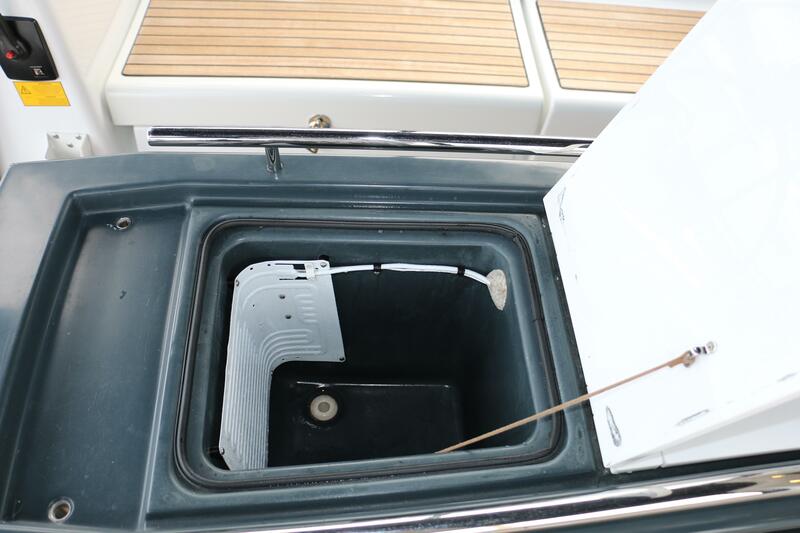 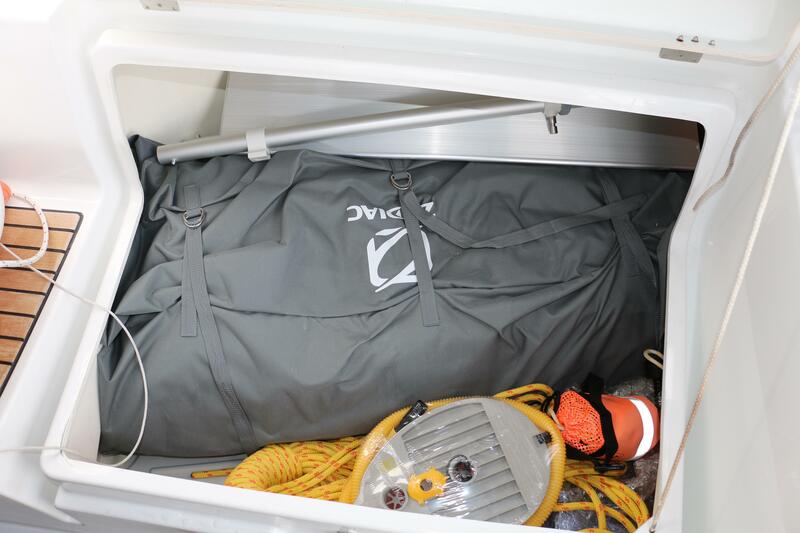 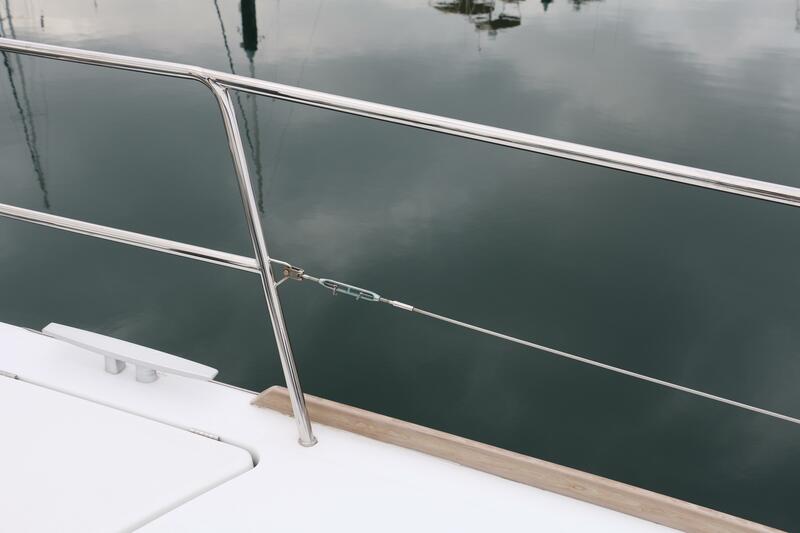 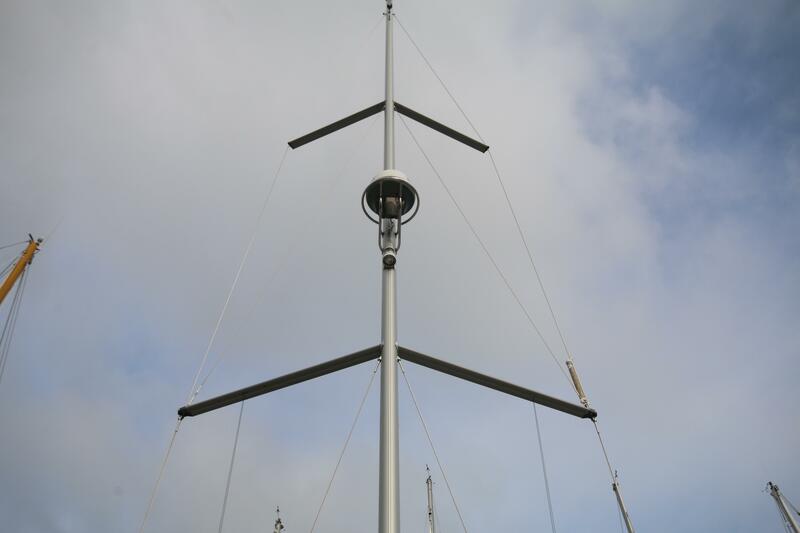 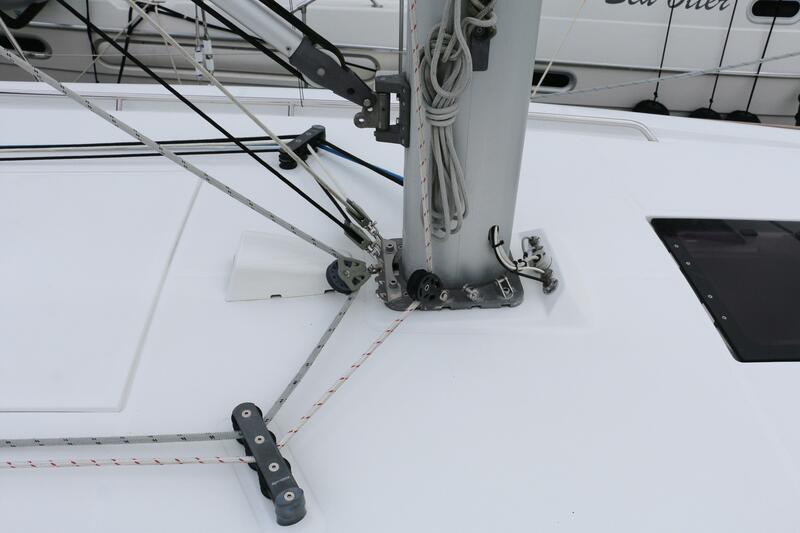 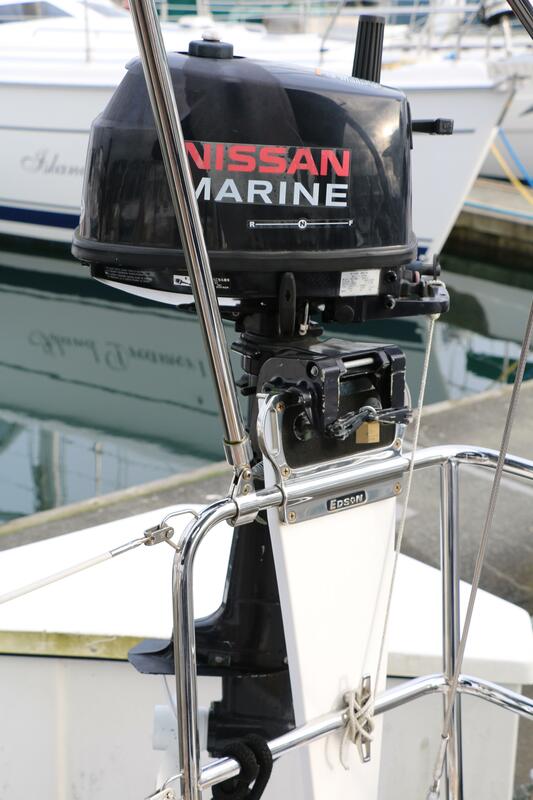 The rig is further aft which gives the boat a balanced sail plan with greater stability. 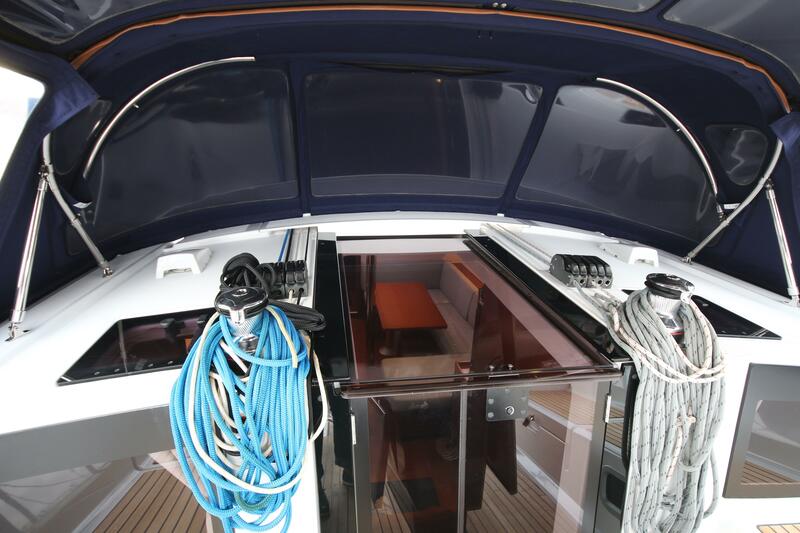 The cockpit is huge with an electrically lowering transom/swim platform. 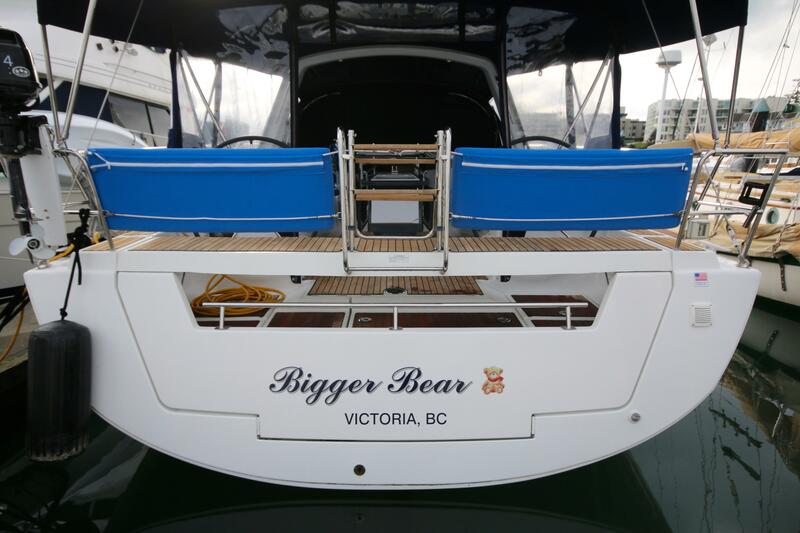 Bigger Bear is a one owner boat and has never been chartered. 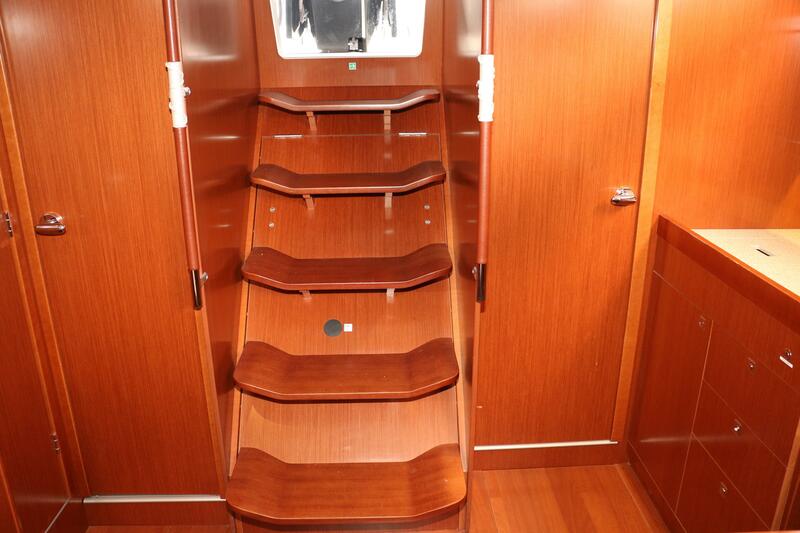 Bigger Bear has the 3 cabin, one head layout. 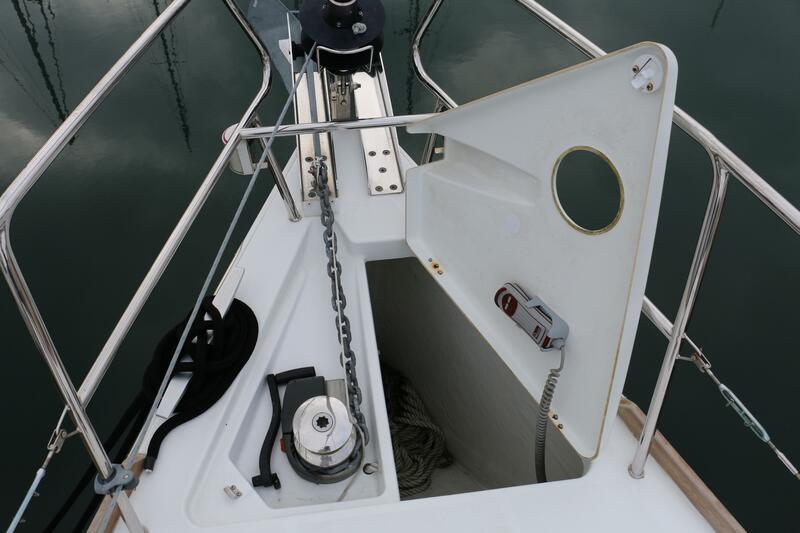 Board through the side gates either side or from the lowered wide swim platform. 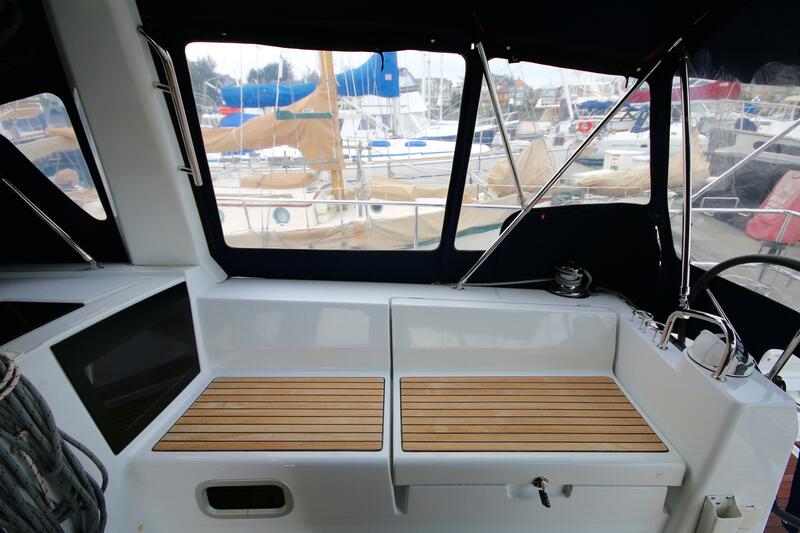 The cockpit has a full enclosure which increases the living space on board during the shoulder seasons. 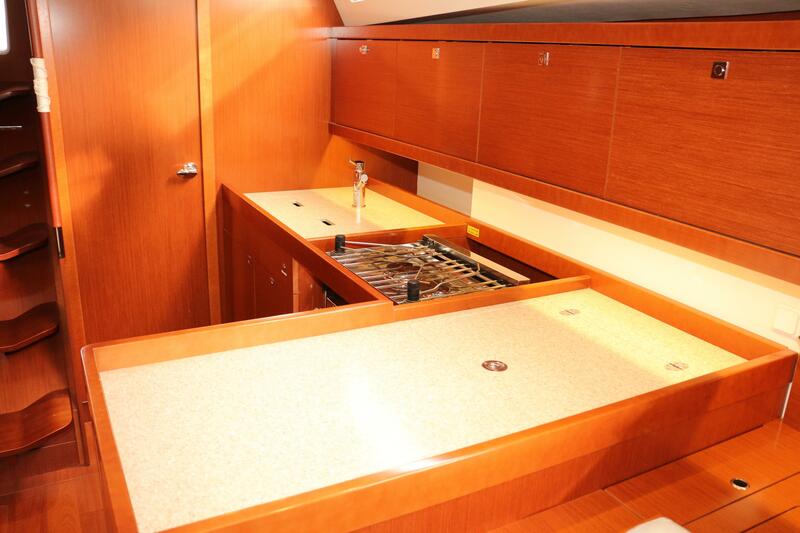 The cockpit also has a large folding table with a built-in refrigerator for dining al fresco. 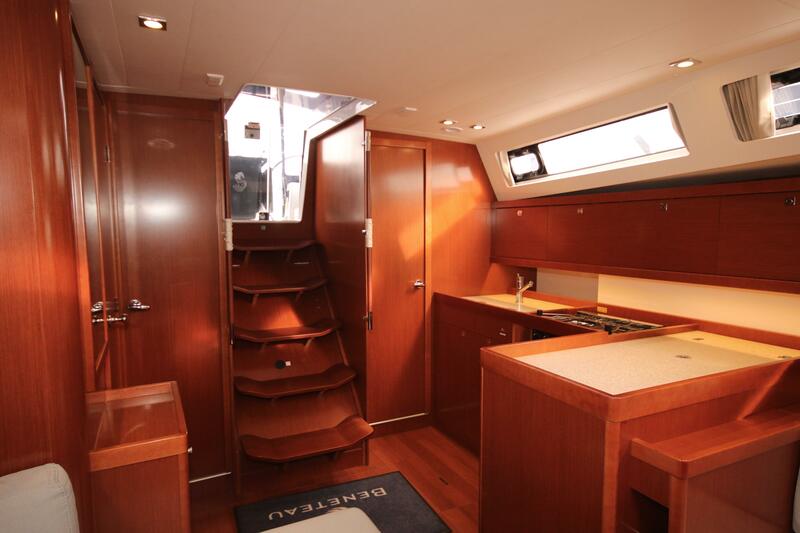 Entering below via the companionway with its gently sloping stairs leads to the galley, salon and interior living spaces. 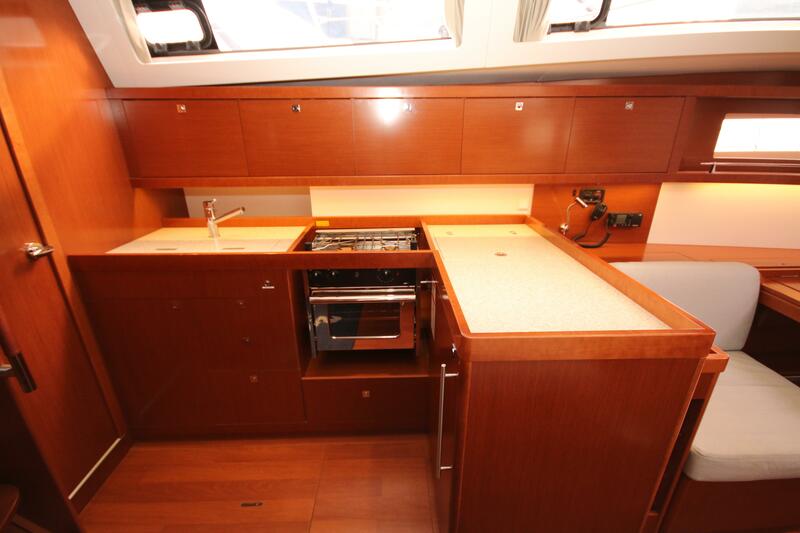 The galley is to port. 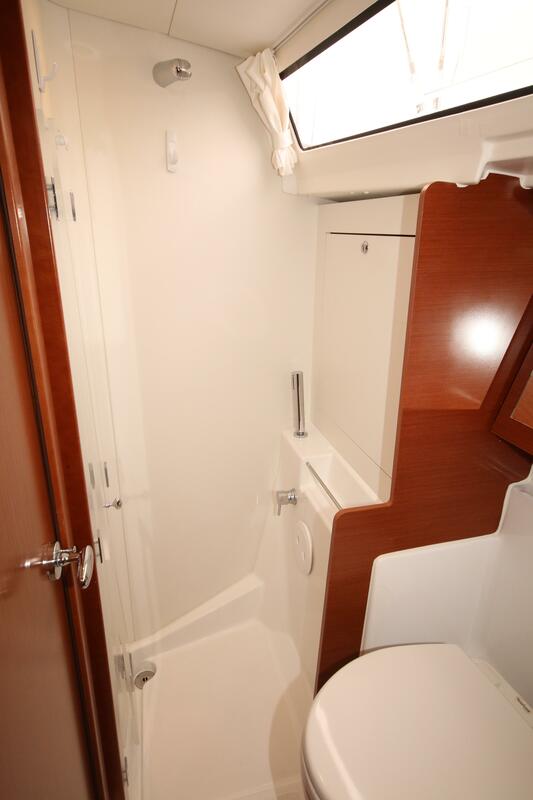 Opposite to starboard is the large head with a separate shower stall. 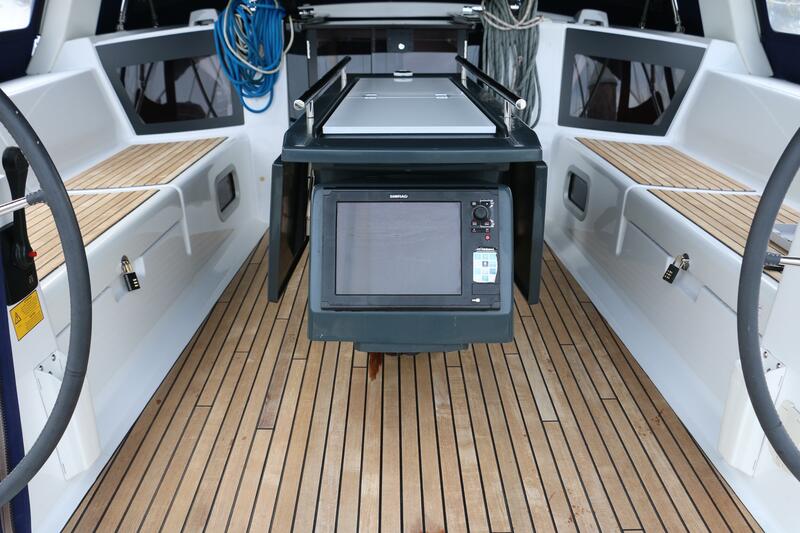 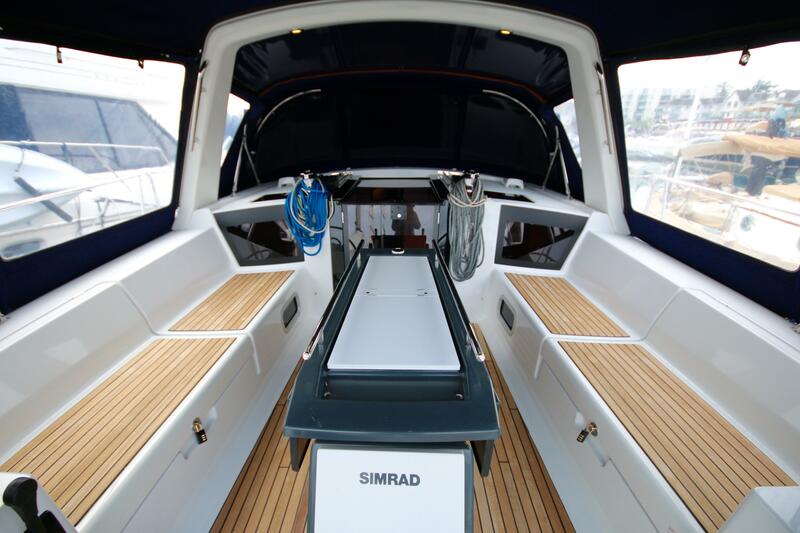 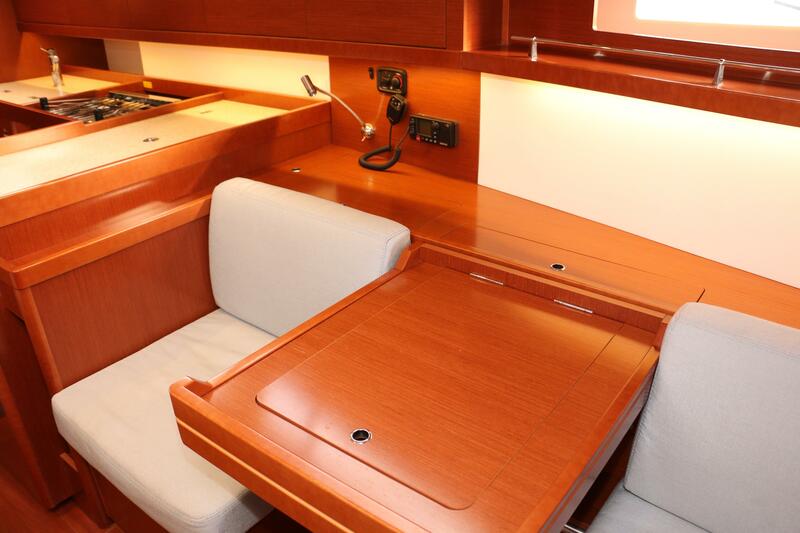 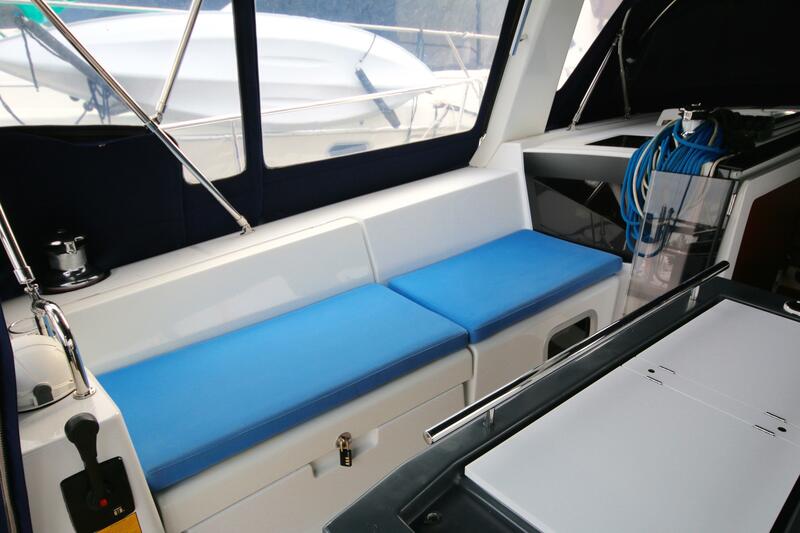 Forward of the galley is the navigation area with innovative sliding seats which convert from an aft facing chart table to two separate seats with a table between. 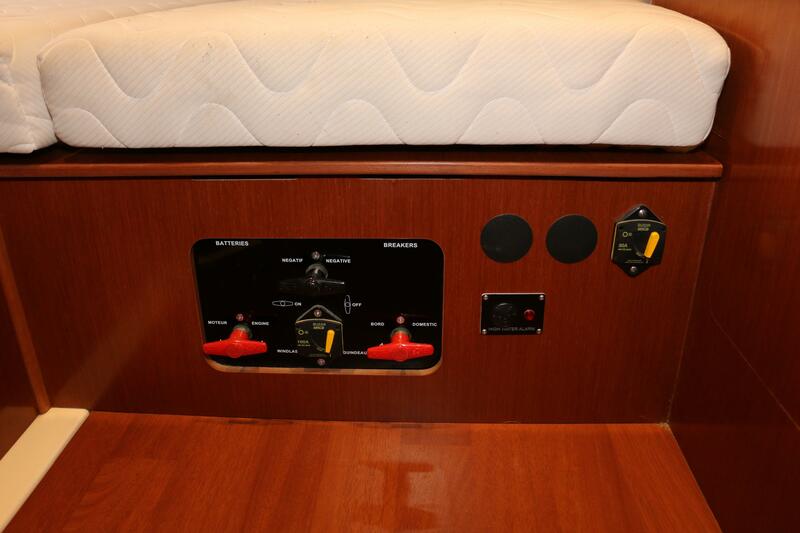 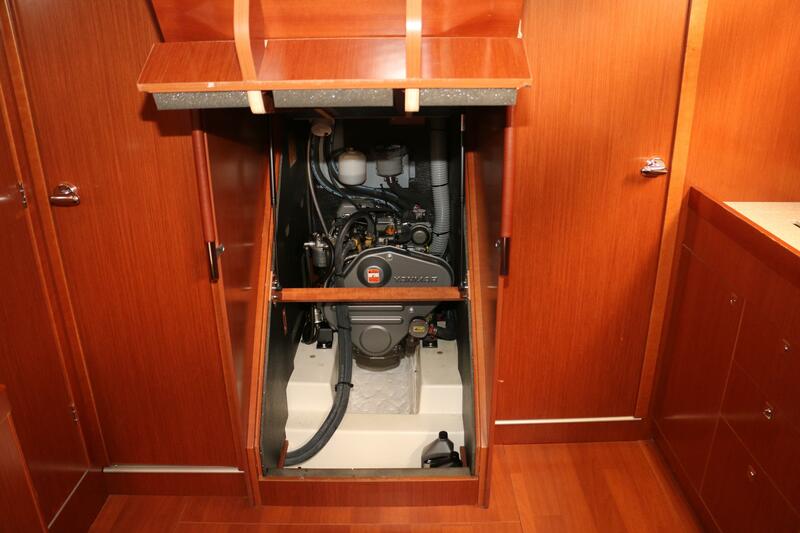 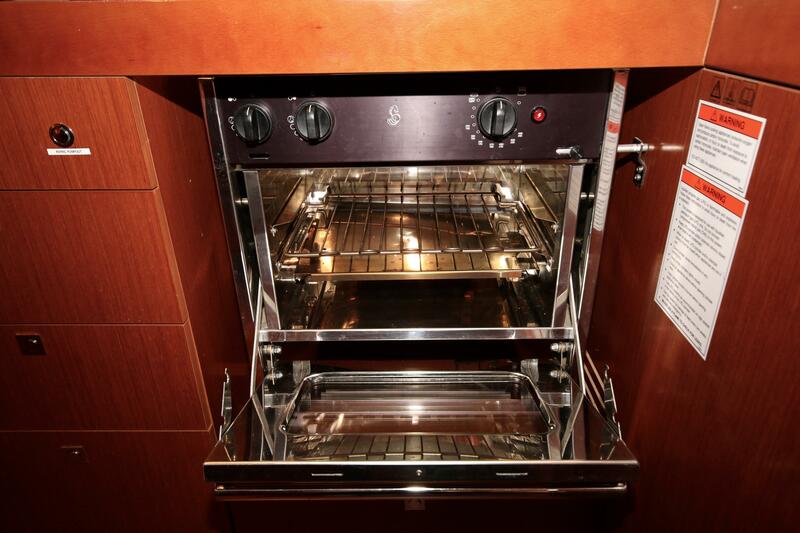 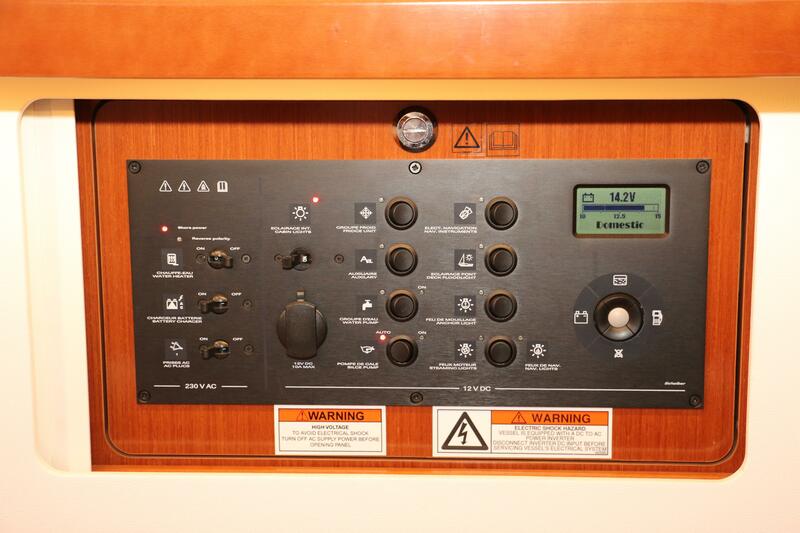 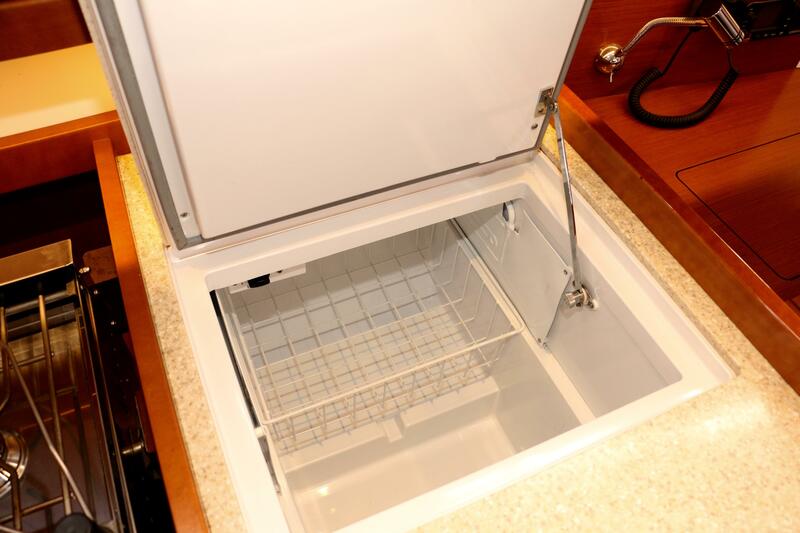 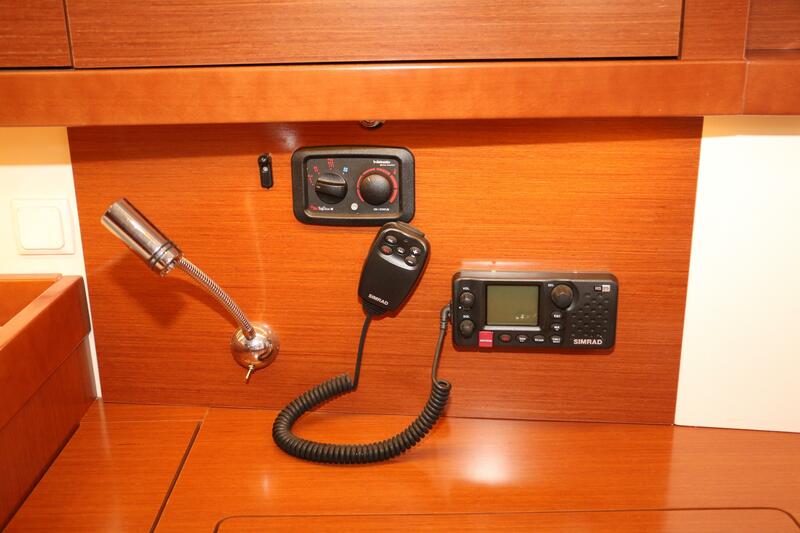 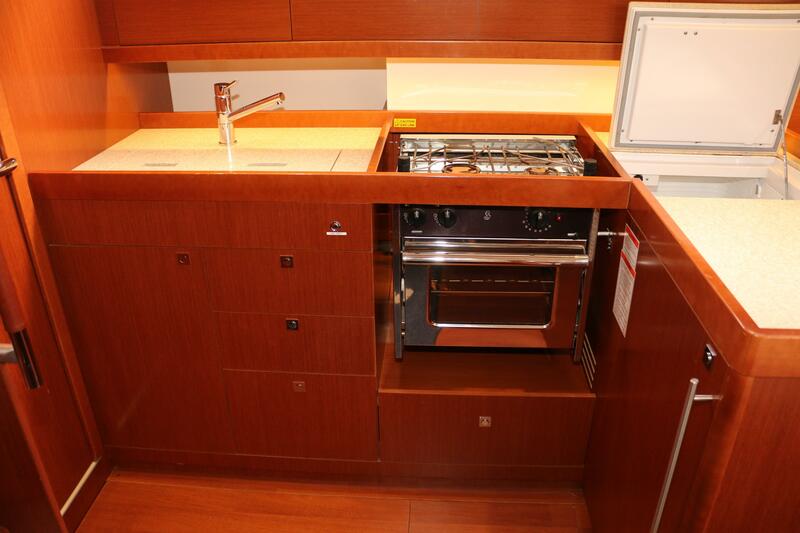 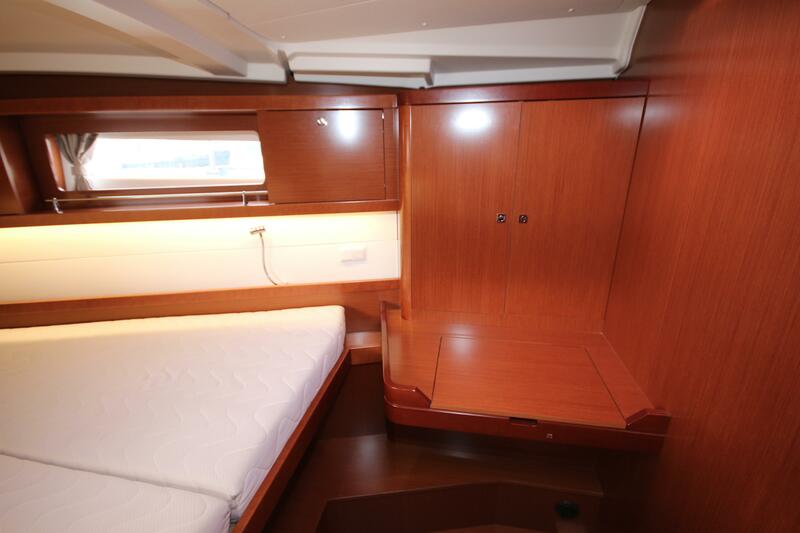 The forward stateroom features a double berth and ample storage with hanging lockers, cabinets and a vanity. 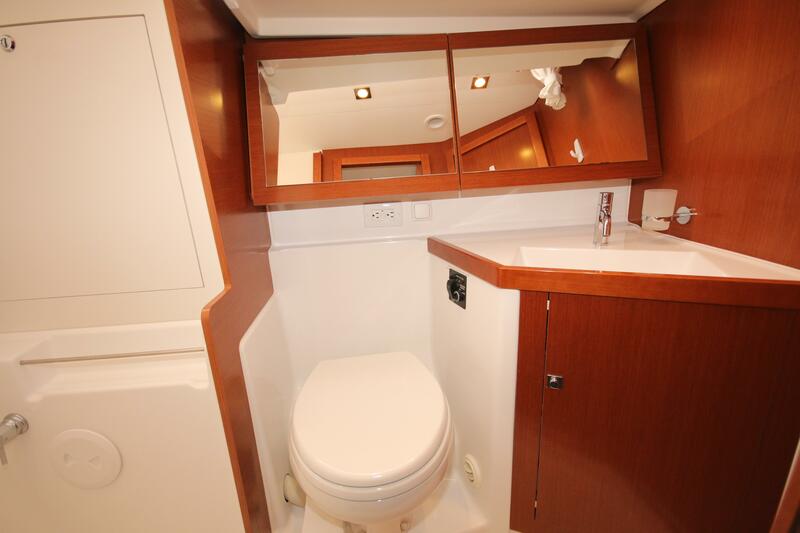 Aft on either side of the companionway are the two double guest cabins. 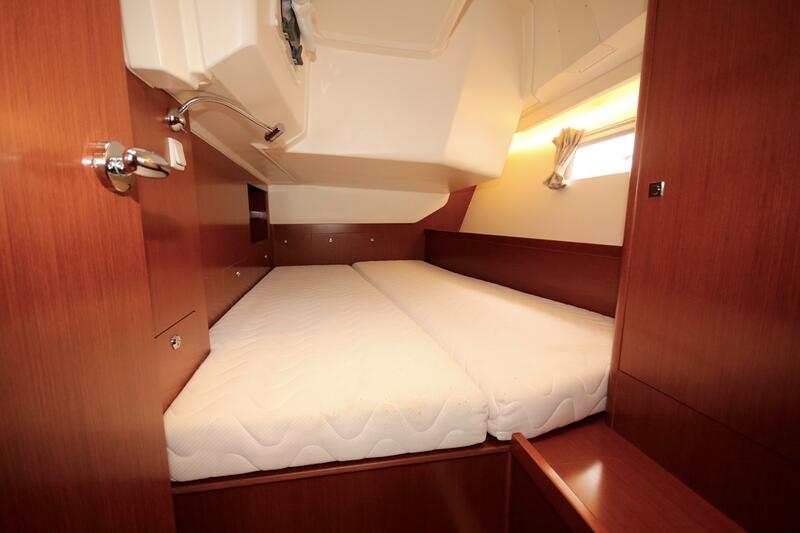 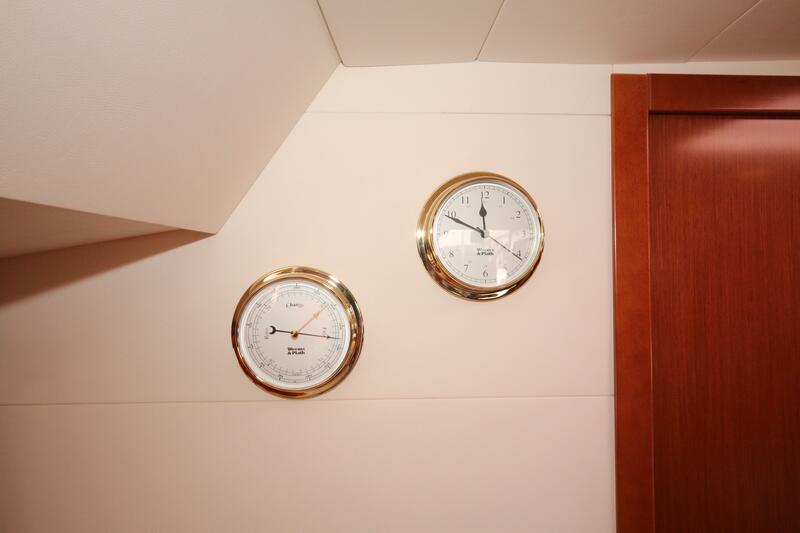 The generous beam carried all the way to the transom make either of these cabins suitable as the master stateroom. 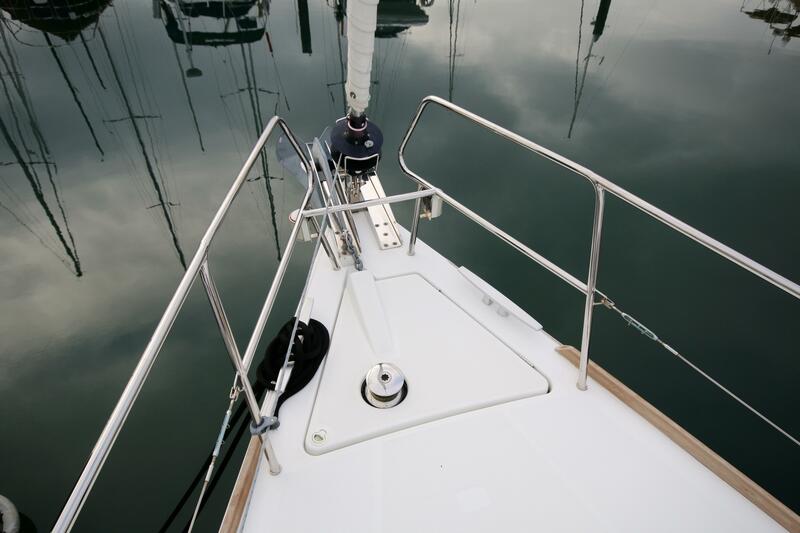 Custom stainless steel upper stanchion rails in leu of lifelines for added safety. 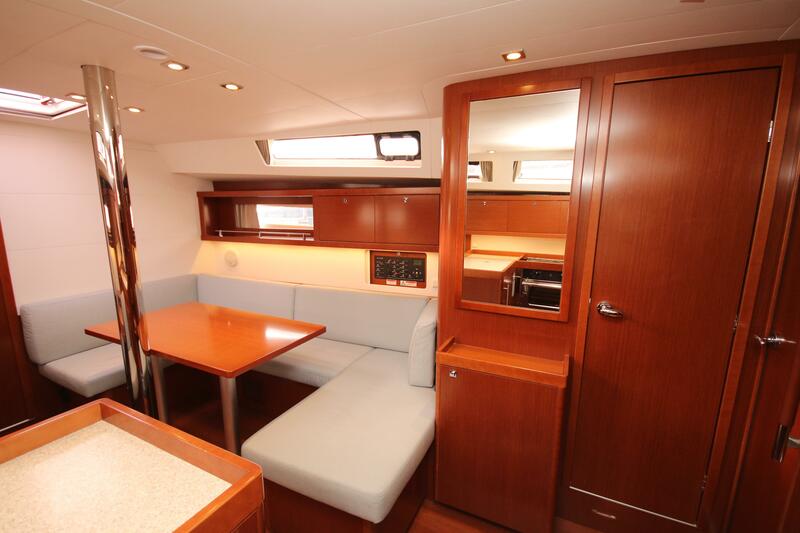 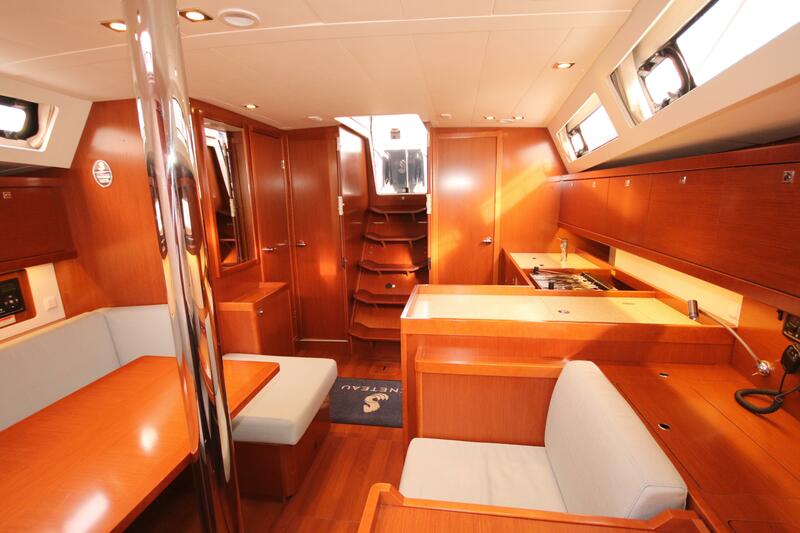 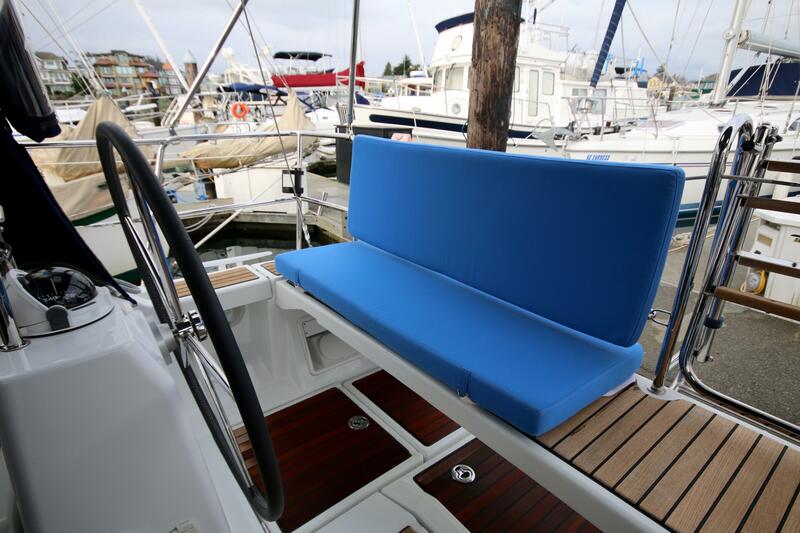 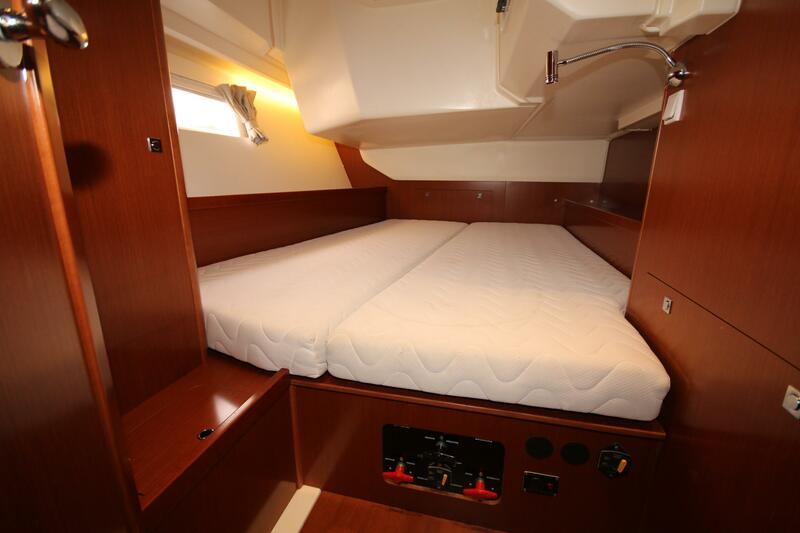 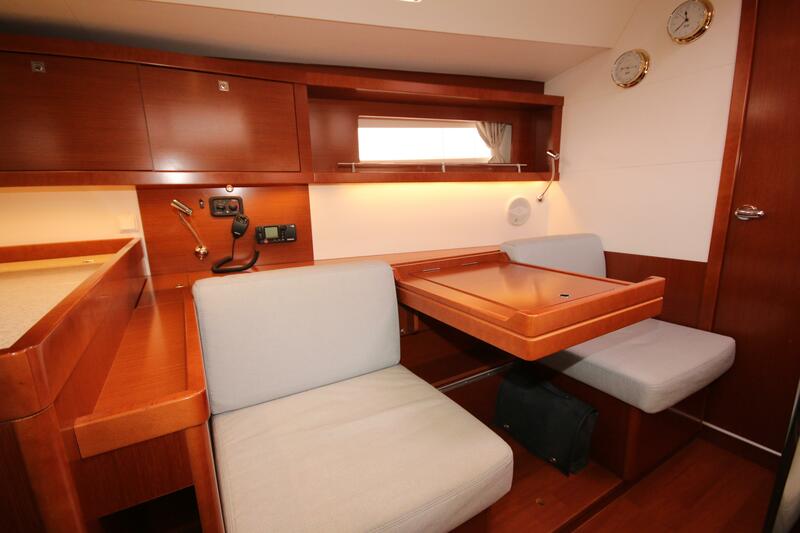 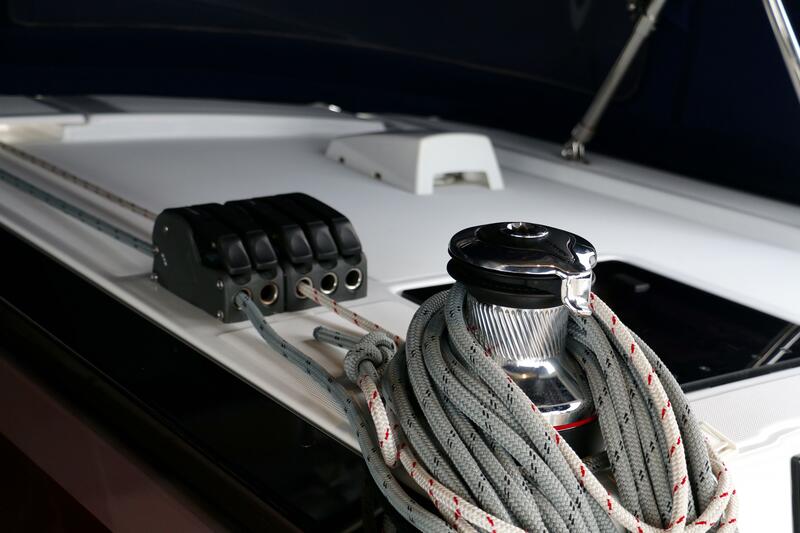 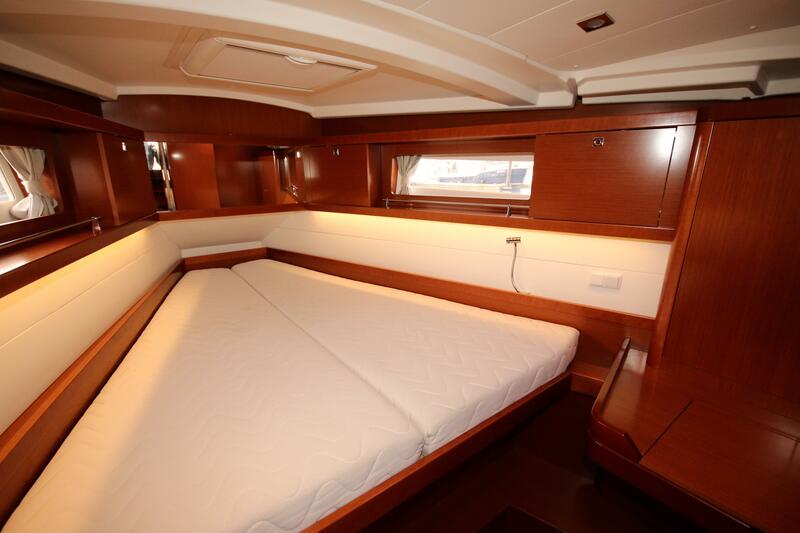 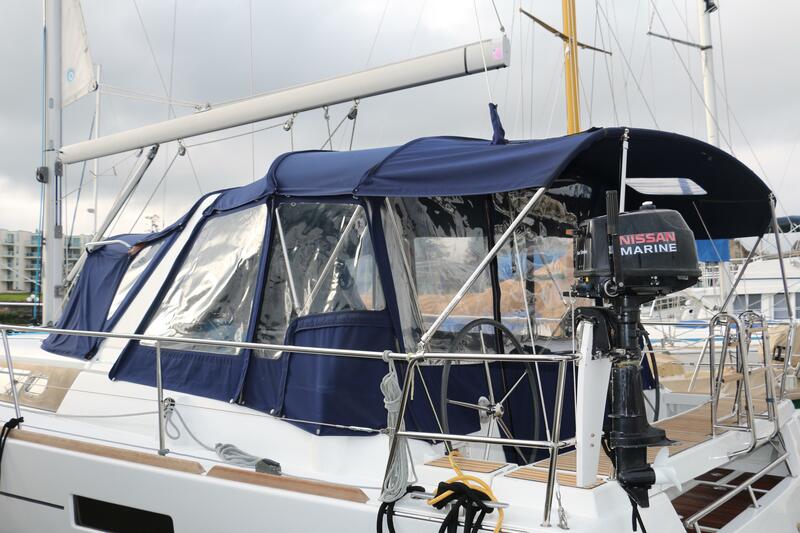 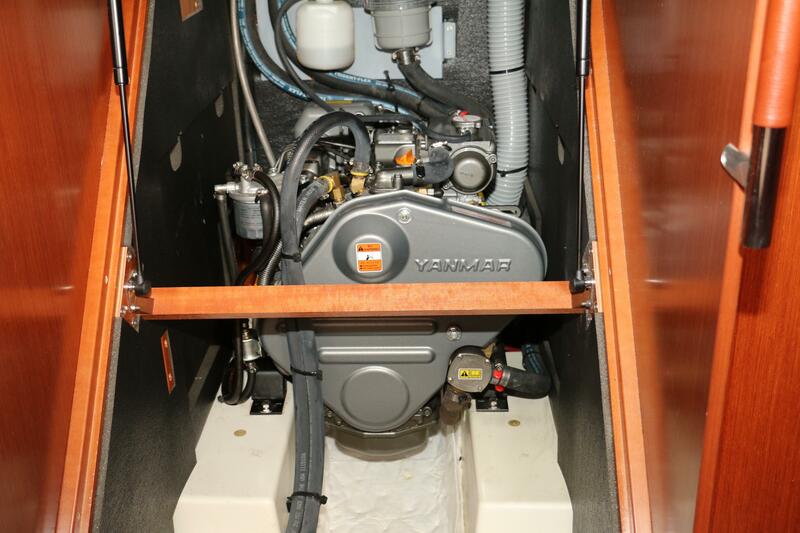 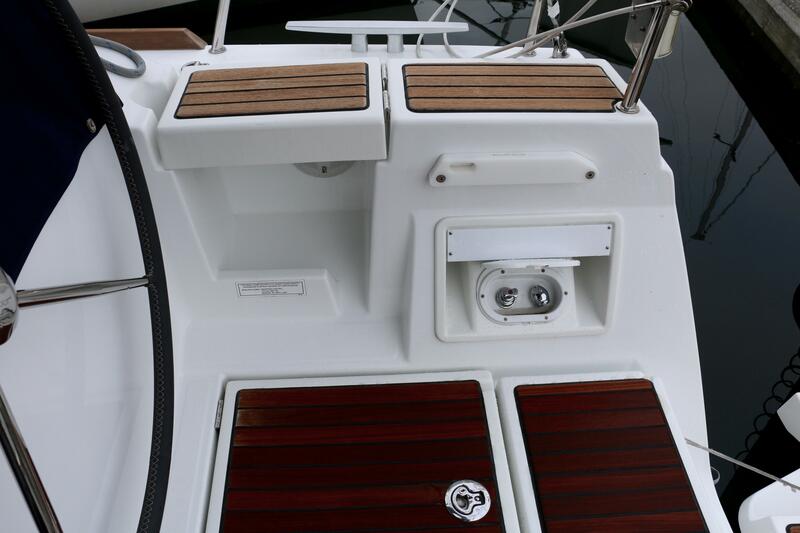 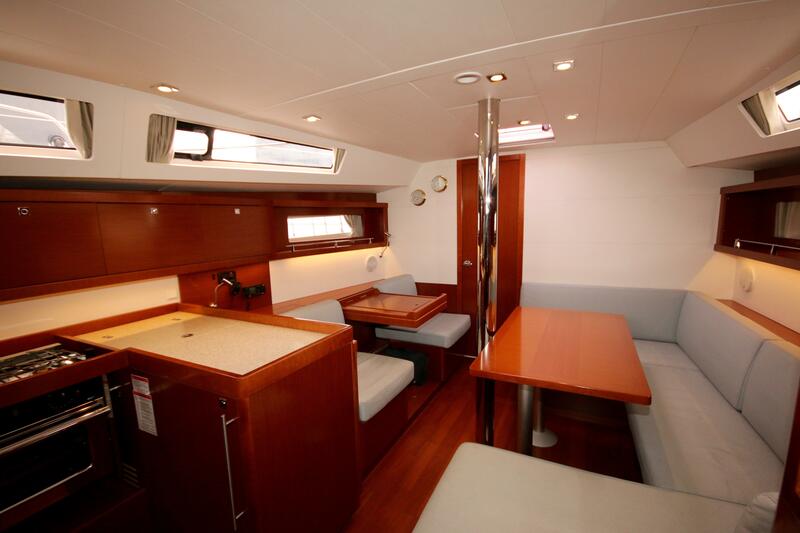 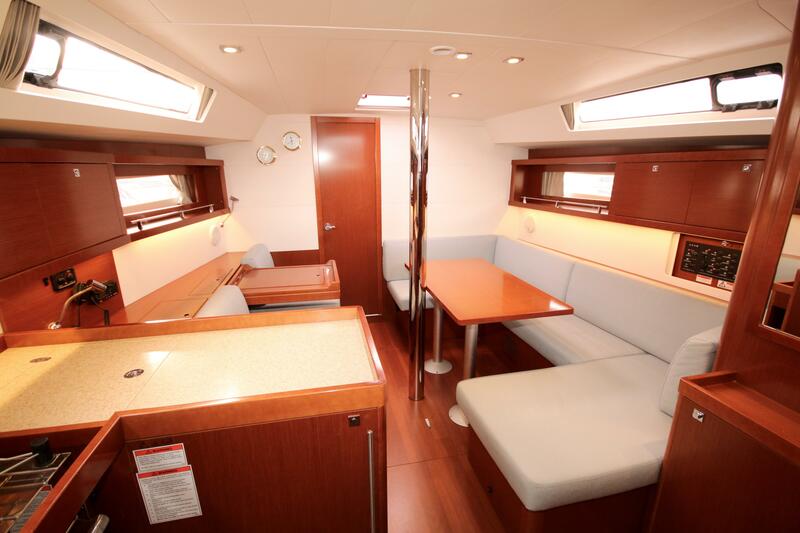 Hi there, I would like more information about the Beneteau Oceanis 41.